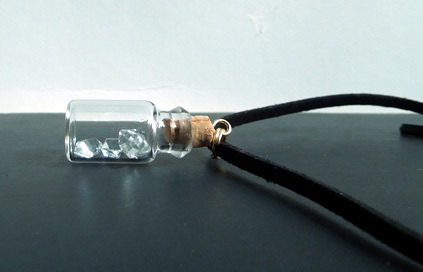 Notes: A fun glass bottle pendant with six A grade Herkimer crystals. 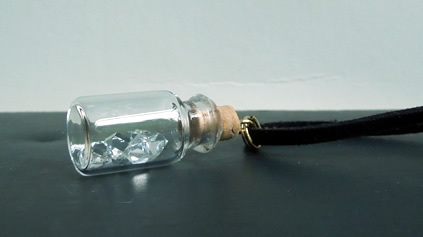 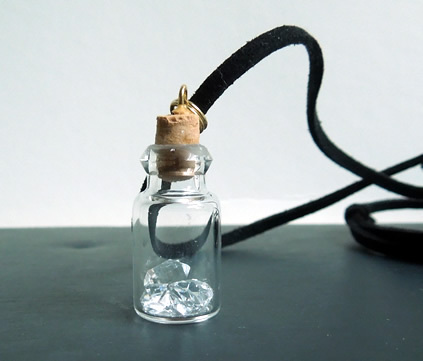 The quality 5-6 mm double terminated quartz crystals move about playfully in the 25x12 mm cork topped bottle. 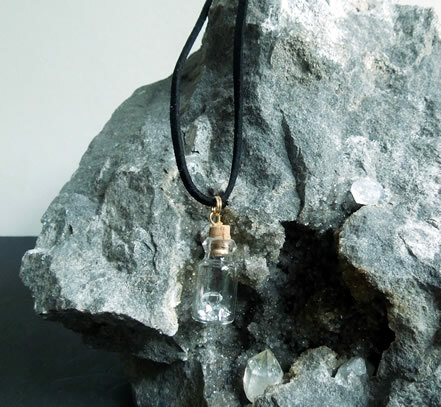 The pendant hangs from an adjustable black suede cord. 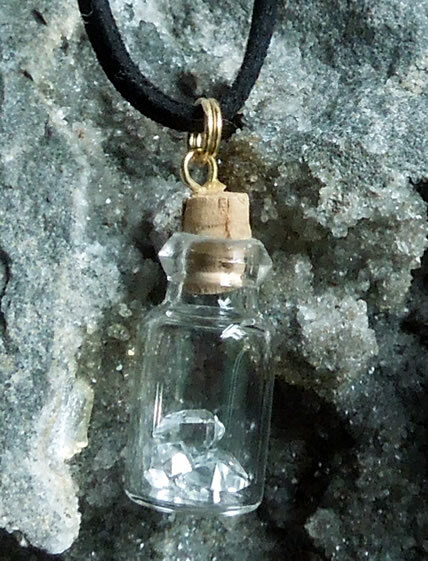 Glass bottle pendant of Herkimer Diamond crystals.